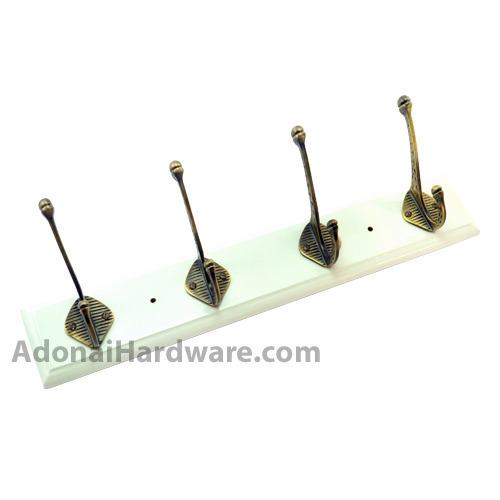 Hooks have never been this much delightful as the 4 Brass Hooks on White Colour Wood with the base made with white colored wood and the hooks tough enough to resist the heavy load of clothes without tearing it with its sharp edges. The hooks are specially curved beautifully to give it a royal shape much to the consumer’s delight. You won’t be able to take your eyes off this piece as the style and its affordability is going to mesmerize you beyond your expectation. The two years of warranty and the ten different finishes is going to seal the deal. => Wooden Plate Dimensions = 16 1/2" x 2 3/4" x 1/2"